Being in Salzburg, Austria was a bit surreal. 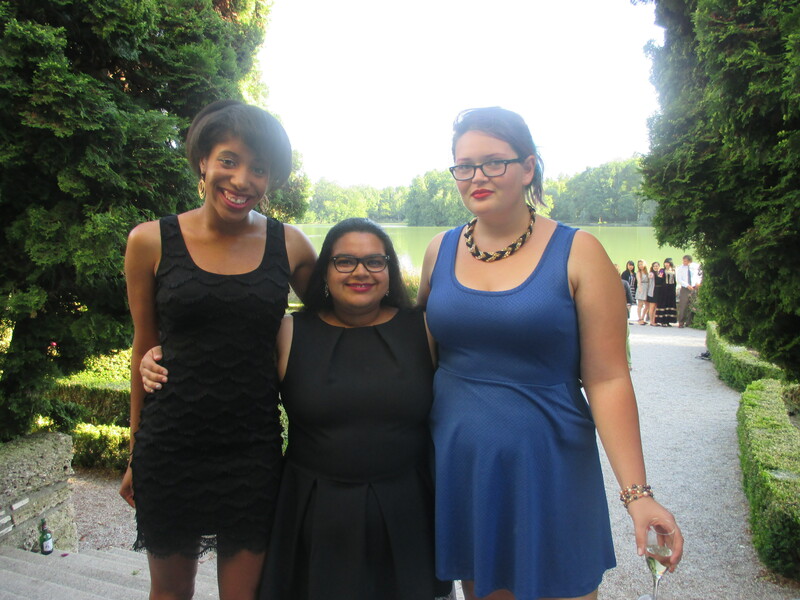 Even on the third day at the Schloss, when one of my fellow scholars asked what I thought about everything, I turned to her and said “I honestly still cannot believe we are here.” I am so incredibly thankful for my experiences at the Schloss Leopoldskron. 12 days in Europe does not sound like a long time, but I am amazed at how much we did! A few of the other scholars and I started our adventures in Munich, Germany. We were there for two days before heading to Salzburg. It felt like we were there for a week. We visited a couple of museums, climbed a 15 story tower, went to the English Gardens, and enjoyed German food, among other things. We also walked, a lot. I believe our pedometers counted over 27,000 steps, about 10 miles (in one day). Munich was lovely, but I was very excited to go to Salzburg! 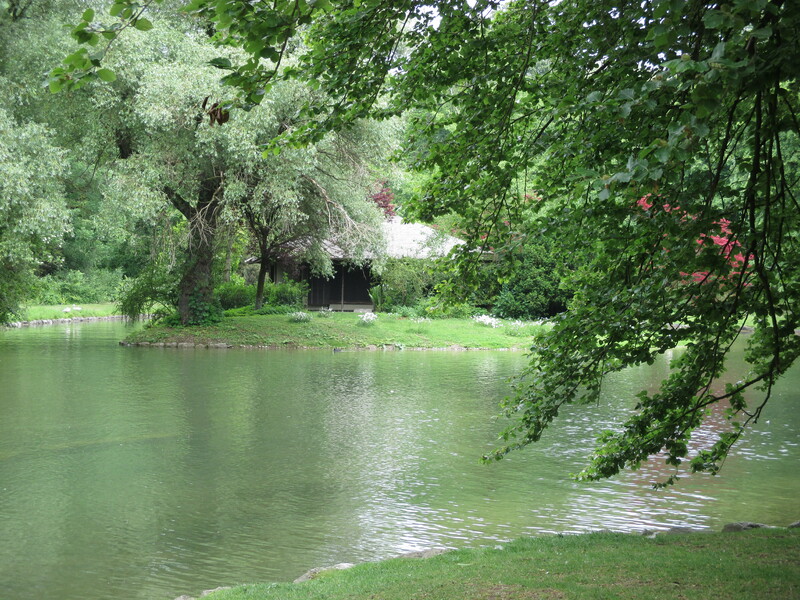 The English Gardens, a gorgeous park to walk through. We even saw some locals surfing in the river! Salzburg is a beautiful city, from the architecture to the Salzach, to the view of the fortress from every angle. We had a great time in the two days before GCP 63 began. June 1st was a great day. 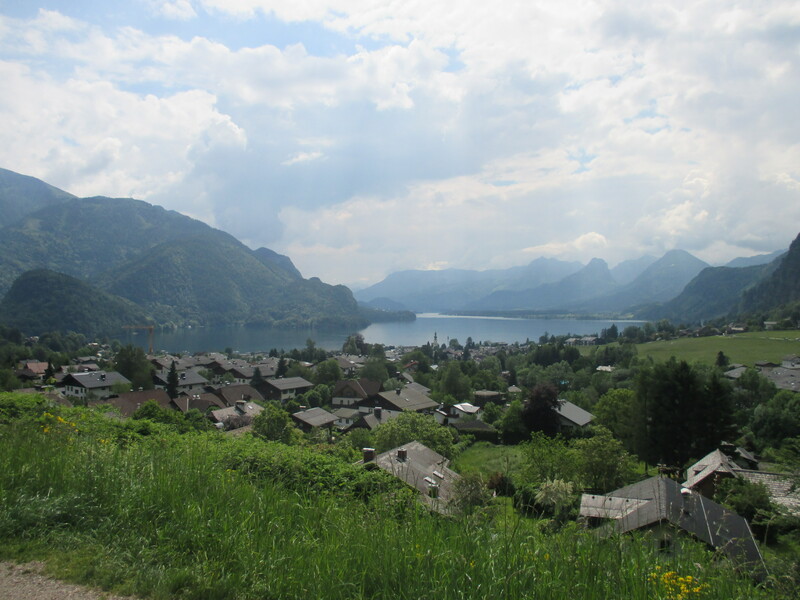 We went on the Sound of Music tour, which showed us some amazing views of Salzburg and neighboring cities that were included in the movie. Views from on top of a hill outside of Salzburg. Postcard perfect. We were very close to the edge; we had to be very careful while taking our pictures! 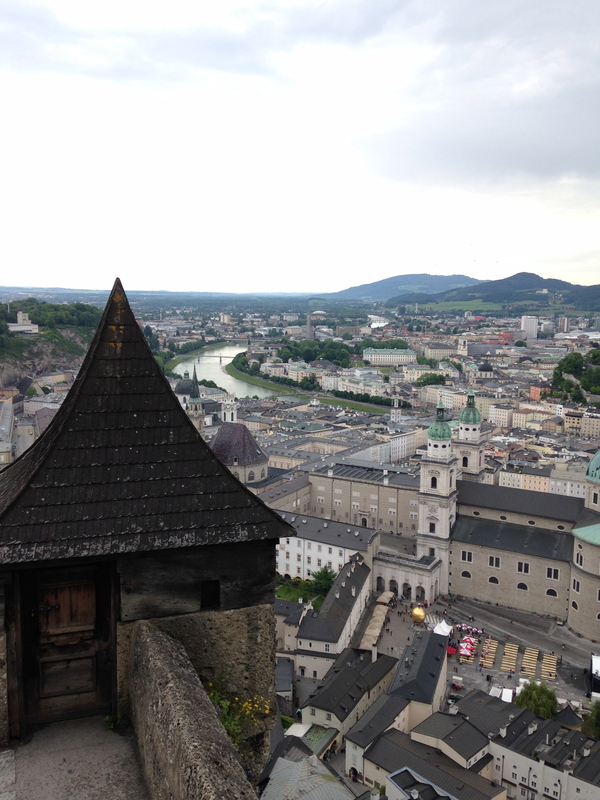 We also hiked up the Hohensalzburg Castle on this day. We ended up taking the long way up, it took us about 1 1/2 to 2 hours to get up to the fortress. It also took us a bit longer because my knee locked up (thank you again to Debby Ng for walking the speed of a snail with me!). 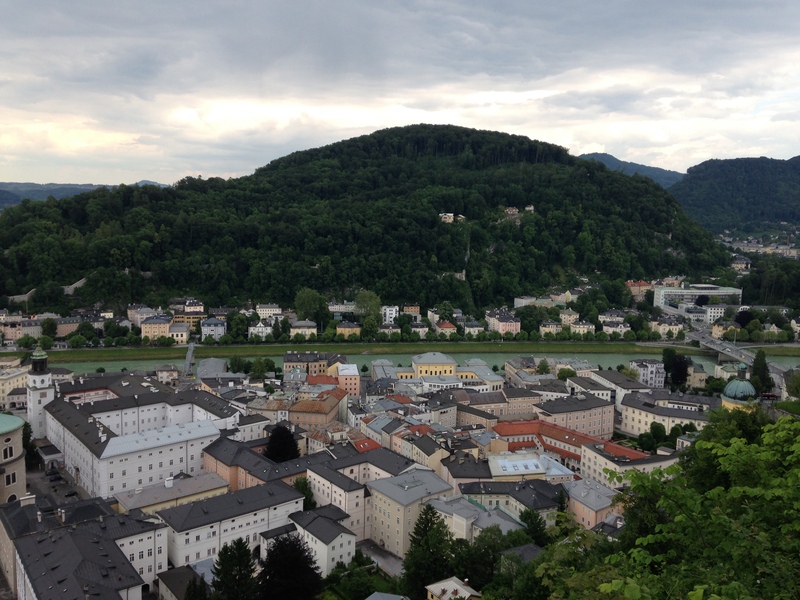 The views of Salzburg from the castle were beautiful. The lack of pollution was quite a treat! After coming down from the castle (we decided to take the tram down), we walked around the streets a bit. 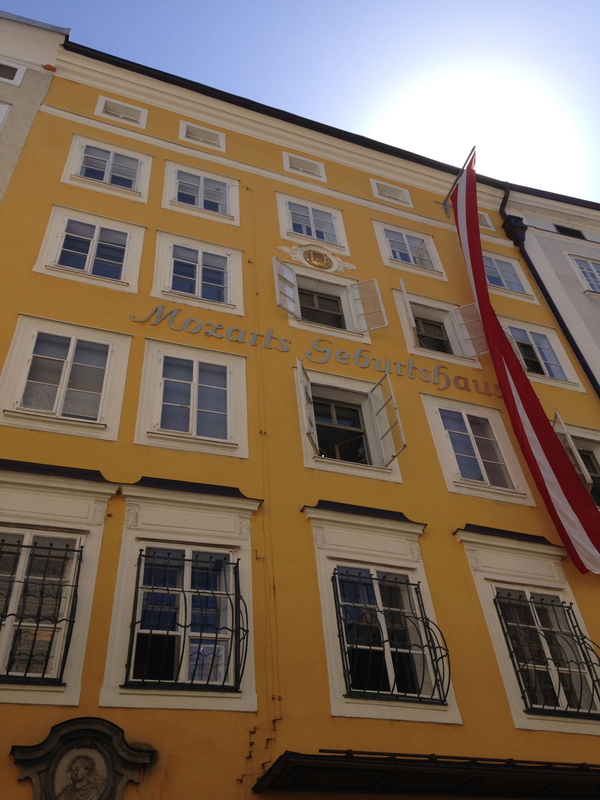 That night, we met up with most of the scholars for dinner, which we had near Mozart’s birthplace. At the final banquet. From left to right: Jessica Massie, myself, and Hillary Schauf. Love these ladies! Because the weather was so nice, we were lucky enough to have our banquet outside! We were quite pampered in our week at the Schloss. It was such a privilege to be there and take part of the conversations and discussions at that magical place. The lectures we heard were some of the best I have ever attended. I am so thankful for the people I met and the connections I made. I miss the people I got to know; it felt like we had known each other for much longer than we did. I cherished the moments we were able to spend together, even though they were so short. I felt myself growing as an individual while we were still there. I have always been shy, but I surprised myself by how easily I talked to others. 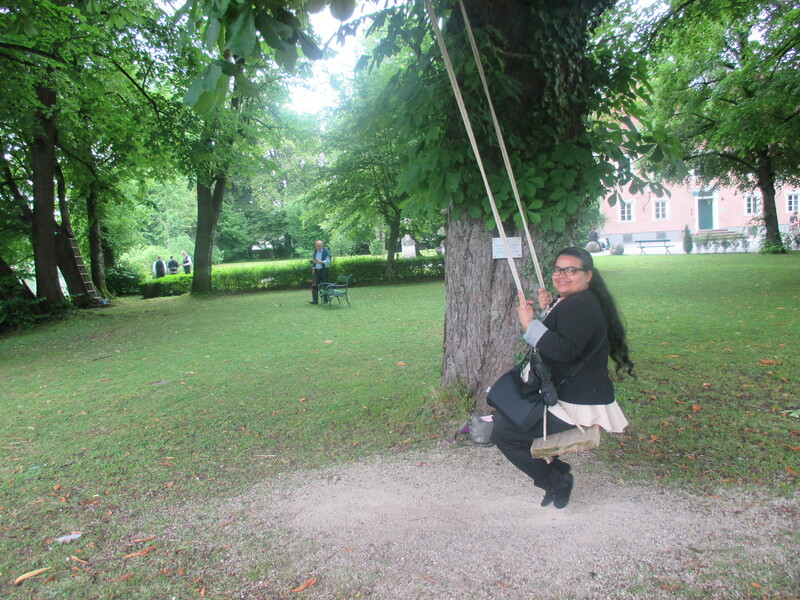 As I continue to grow, I remember what I learned in Salzburg and am so thankful to all of the faculty, staff, advisors, and of course the scholars. Danke, for such an incredible experience, and for making my 12 days in Europe so memorable and beautiful!